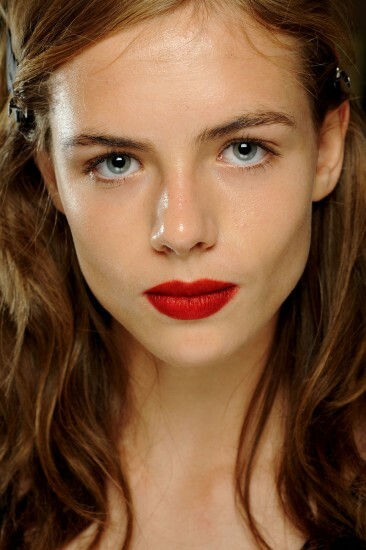 The makeup artists at Burberry have captured my favorite look for the autumn! 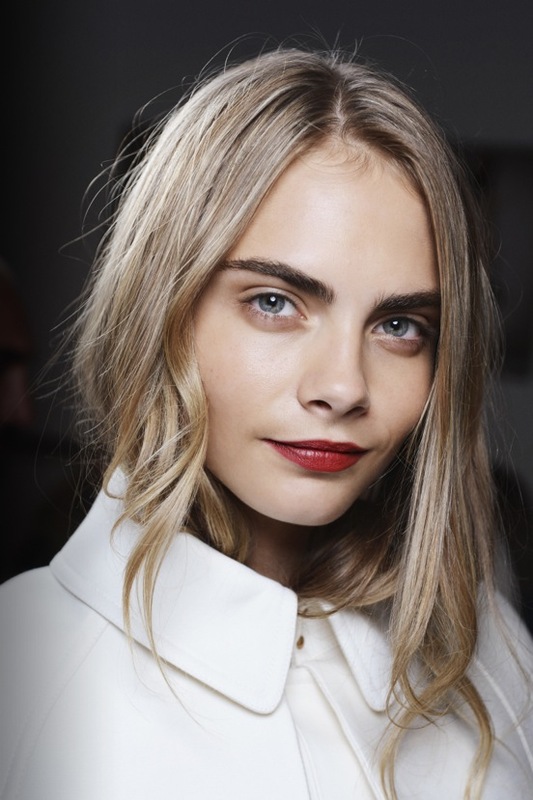 I love the look of dark(ish) red lips, bare eyes and strong eyebrows. Since I don't like to wear much makeup, especially eye makeup, I have fallen in love with this look. I love how it looks so polished, yet requires barely any effort. I wore something along these lines to school the other day, but my lipstick didn't stay on long at all. So my next mission is to acquire the perfect red lip stain!